The final title about Rollo, who didn't want to eat his dinner or go to bed - and now he doesn't want to clean his teeth. Every morning and every evening, Rollo would cry, 'I don't want to clean my teeth!' Rollo's family are on track with mealtimes and going to bed,but now Rollo ... read full description below. The final title about Rollo, who didn't want to eat his dinner or go to bed - and now he doesn't want to clean his teeth. Every morning and every evening, Rollo would cry, 'I don't want to clean my teeth!' 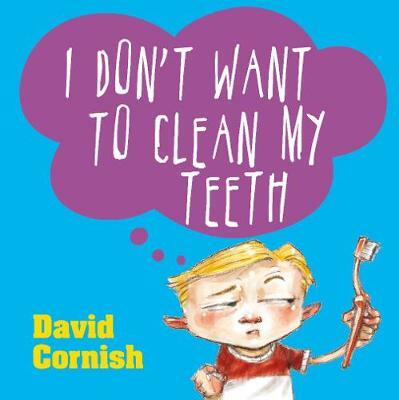 Rollo's family are on track with mealtimes and going to bed,but now Rollo doesn't want to clean his teeth ... From talented author-illustrator David (D.M.) 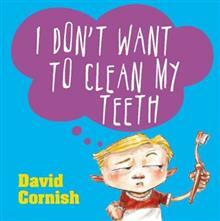 Cornish comesthe perfect book for parents who might need to brush up on their children'steeth cleaning.